The more I use and learn about Google+ – at the time of writing, I’ve been on the network for just over a month – the more valuable I find it, and the more glad I am that I took the plunge. It’s also a network I finally feel comfortable with. Other than its advertising opportunities, and despite all the hyperbole, I never quite got Facebook in terms of return on investment and so chose not to waste hours of my non-teenage life on it, finding my time was better spent elsewhere. In contrast, Google+ feels more professional and more geared towards business. The same goes for the people on it. And above all, while I could never see much long-term value for my own business in spending lots of time on Facebook, there’s far more certainty that the time you spend on Google+ is time invested in your future authority and influence. Businesses who are relentless in building a following on social media are in fact creating their own publishing platforms, growing their marketing channels and content distribution networks. It is a digital asset that grows every year. Over time it can provide huge leverage and marketing independence if done right. And Google are certainly committed to its long-term success. All the indications are they now have Google+ as their number one focus, with employee bonuses are linked to its success, and a hard-headed strategy of pushing and cajoling as many people as possible into signing up. For example, comments on YouTube are now tied in with Google+, and there’s also now a requirement to have a Google+ account in order to use some of their services such as posting and sharing photos or sharing a map. Given the high priority Google is giving to their social network, and the omnipresence of the search engine giant in most people’s lives online, you can bet your bottom dollar that Google+ will grow increasingly strong in the coming months and years. I’d even wager it will start overtaking Facebook as Facebook’s appeal starts to sink. Indeed, studies have shown that Google+ will start to overtake Facebook for social sharing in less than two years time. So what exactly are the advantages for business? Why should you sign up? For any social network where you’re going to need to invest time and resources, the real question to ask is whether joining will make you more successful and more profitable. In other words, will there be a healthy return on your investment of time and other resources. With Google+, everything I’ve seen so far indicates a resounding yes. Google+ is an ingeniously crafted & unprecedentedly versatile social media platform, which when wielded properly has unlimited potential, for not only SEO, but also SMO, Internet marketing, content marketing, brand building, reputation building, reputation management, mass marketing and… anything else you want to make of it. As well as a personal profile, Google+ allows you to also create pages related to your business and attract followers to them in a similar way. Apart from a useful communication tool in its own right, here are some other advantages from using pages. I talk more about the SEO benefits of Google Plus below, but in general, although linking from Google+ doesn’t add any value in itself, the more followers you attract and the more actively engaged they are, the more the PageRank of your Google+ profile and any associated business pages will grow. This will impact your ranking in the same way any other page linking back to your site would. Posts on your business page can also get ranked on Google search in the same way as any other page, and that’s one of the primary reasons that companies like Starbucks and The Economist are currently using it. By establishing your business page on Google+, you effectively get prime placement on their search engine for your brand, displaying information about your business, social proof in the form of the number of people following you, and your recent photos and posts. Rather than selling this space, Google is currently giving you this for free as an incentive for businesses to sign up. An additional incentive to join Google+ comes from within their paid advertising program, Adwords. 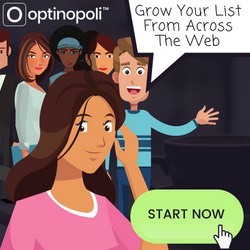 Once you get over 100 followers to your business’s Google+ page, endorsements for your business can be shown automatically on ads you run on Google Adwords, where their system calculates that such endorsements would improve your campaign’s results. Social proof can obviously be significant, not just in improving your click-through rates on the ad itself, but also in your sales conversions once someone arrives at your site. One reported benefit of Google’s recent Hummingbird algorithm update was that it gave them the ability to more easily process social signals. However, what is interesting to note is that Google’s Matt Cutts recently stated that the number of likes you have on Facebook or followers on Twitter do not have any impact on search engine results, partly due to lack of access to the necessary data. The implication is that Google+ is different. After all, the whole raison d’être of Google Authorship, which I refer to in more detail below, is that they can determine the influence and authority of individuals based in part on social signals from Google+, and use it to help determine ranking of content from that author. 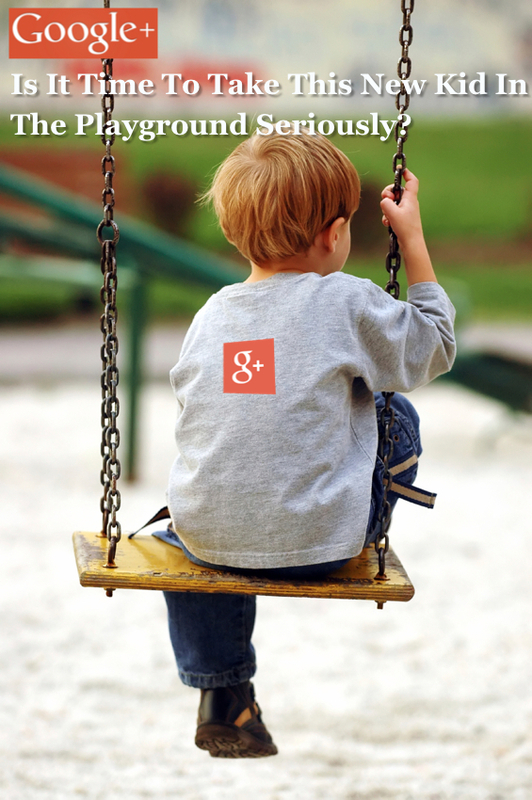 It’s important to remember though that pages on Google+ are treated by Google just like any other web page. Creating a ton of posts on Google+ that link back to your site would be of no benefit in itself, unless those posts were engaged with, cited, linked to, and so on, with the authority of those engaging with it taken into account. Evidence shows the correlation between levels of engagement and ranking. In other words, link building is still important and relevant, but activities on Google+ will be increasingly taken into account. If you’re not active on Google+, it’s an important advantage for search engine placement you’re missing out on. Here’s just one important example of how your activities on Google+ have a direct impact on your search engine visibility. For several years now, Google search has delivered personalized results, based on a number of factors such as your location, your search history, search results you have clicked through on, and so on. Google+ now plays a significant part in this too. For example, if you’re following someone on Google Plus, you’re more likely to see their content in the SERPs (search engine result pages). Not only that, you’re also more likely to see content that people you are following have +1‘ed. It therefore follows that the more people you have following you, the greater the ranking of your own content and content you deem important will be for them, the more visible you consequently become, and the more influence you have over what their search results in general. The traffic advantages grow along with your Google+ following, and can be significant. At TrafficGenerationCafe.com, Ana Hoffman (with over 20,000 Google+ followers) knows a thing or two about traffic, and prioritizes Google+ over and above any other social network, in turn making it a visible and central piece of her traffic generation strategy. She even states Google+ = Google Traffic on her Google+ badge. So how does Google+ work to increase traffic? By sharing content on your site on Google+, and/or having others share it too with their own networks, people will click through. Of course, the quality of your content is absolutely key here, as well as gradually learning over time what seems to get the best results and improving your content strategy accordingly. The greater your number of followers, the more influence you have, and the more your traffic from Google+ will grow. There is however a catch. It’s important not to share only your own content, or you’ll find your followers quickly drain away, and you will fail to attract new ones. Instead, act as content curator, generously sharing other valuable content you find online, and simply add your own content as part of the mix. Indirect traffic benefits come from your increased visibility in Google search thanks to the SEO benefits you receive from your Google+ activities, and your increasing authority and influence. In addition, as already described, your Google+ posts themselves can also show up in search, further increasing your online visibility, attracting people to your Google+ profile, and helping to drive traffic levels further. Google+ provides you with a verifiable online identity that all your content can then be associated with, and which Google can then use to assess your authority and influence. The advantage for you is that your profile’s portrait picture is displayed next to your content, giving your content increased prominence in the listings leading to higher click-throughs and therefore readership of your content. Although likely to be relatively low in the first few months as you build your Google+ presence, searchers will also see the number of people who have you in Google+ circles, adding an element of social proof that can further drive higher click-through levels from the results pages. Of course, as your numbers increase over time along with your search engine visibility as a whole, this positive influence will only get stronger. Apart from raising your profile, it also means the more content you have in circulation that’s associated with you as an author, the more you can attract people interested in your content to follow you on Google+. That’s powerful. By creating circles and adding people to them, you can communicate with them in a targeted way depending on the circle they are in. For example, if you had a circle of people with your Google+ account who were all joint venture partners, you could make posts available to them separately, and only they would ever see your communications. Hangouts allow you to have live chats, including video chats, with other Google+ users and can be a great way to communicate on a more personal level and build relationships that can be highly beneficial for your business in a number of different ways. The very act of using Google+, and the type of content and people it attracts, means you can’t help but learn, improve, and be inspired. You have to engage in a meaningful way and offer real value. Blind-sharing and superficial posts, with the idea of keeping your profile ‘fresh’ and attracting new followers but without genuine engagement, will attract little or no attention, and thus be of negligible benefit. The real advantage comes from creating and curating content effectively to ensure you’re putting the best value content out there along with your own useful comments. You also need to engage effectively with the content produced and shared by others. Both aspects mean gaining a real understanding of the content involved. As a result, this is where a lot of the value from your activities on Google+ – part of your return on investment – also comes from. It’s invariably a learning experience, one where you cannot help but benefit from the shared experiences of others. The more you’re prepared to give, the more you also get out of it, and probably by some multiple. 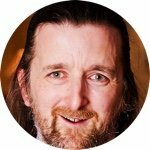 In a year’s time, your competitor down the road got the message on Google+ and now has over 10,000 followers, is posting regularly and attracts a high level of engagement, regularly holds Hangouts, and is consequently enjoying a relatively high level of visibility and influence on Google. In contrast, you’re still fumbling around trying to sort out your Google+ profile, and finding it hard to admit to yourself that you missed the boat and wish you’d acted earlier. That’s probably not what you want to happen. My recommendation would be not just to start taking Google+ seriously, but to make it a fairly central component of your online marketing activities. It’s an investment of time and effort likely to pay off handsomely, and as I’ve stated previously, the time to act is now.